Illinois Department of Public Health Director (IDPH) Dr. LaMar Hasbrouck today announced the activation of an Ebola hotline to answer residents’ questions about Ebola 24 hours a day, seven days a week. The hotline number is 800-889-3931. Managed by staff from the Illinois Poison Center, hotline operators are able to provide timely information on Ebola and the state’s response. Residents can call any time with questions such as how Ebola is spread, who is at risk of being infected, when should someone go to a doctor, what hospitals and local health departments are doing to identify and control possible Ebola infections and other frequently asked questions. 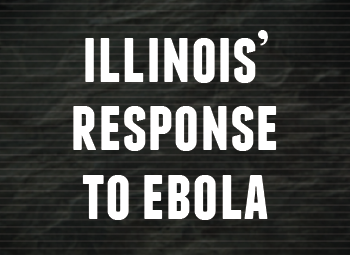 Dr. Hasbrouck, joined by local health department, hospital, health care and emergency response officials, will hold a media briefing on Friday, October 17, 2014 at 2:30 p.m. to provide the latest information on Ebola preparedness efforts in Illinois.